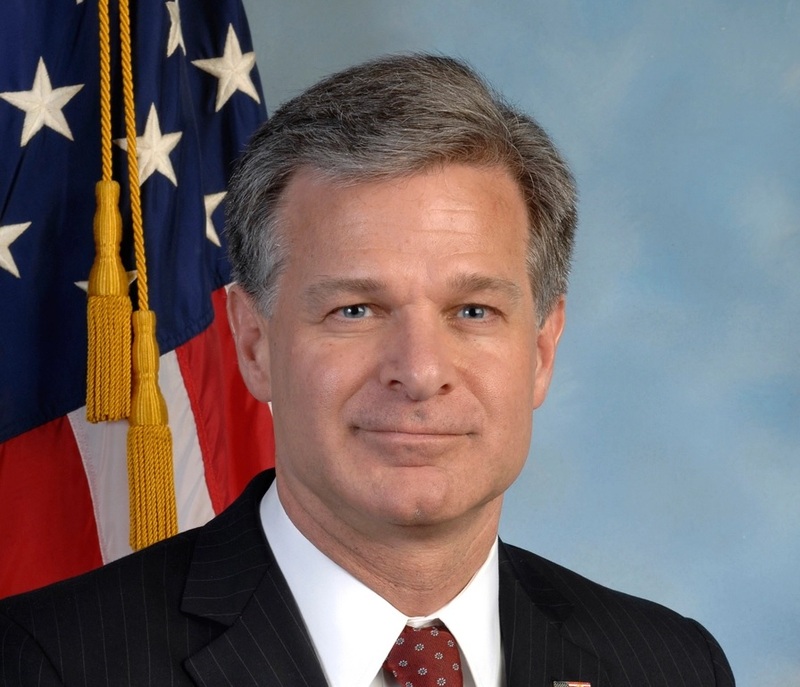 Muslim Advocates, the Leadership Council on Civil and Human Rights, Sikh Coalition, the Union for Reform Judaism and the NAACP Legal Defense write to FBI Director Christopher Wray. Shaken by the horrific attacks on mosques in Christchurch, New Zealand, that killed 50 people, faith leaders and minority civil rights organizations are asking for a tougher stance on white nationalist violence in America. Leaders from five civil rights groups — the Muslim Advocates, the Leadership Council on Civil and Human Rights, the Sikh Coalition, the Union for Reform Judaism and the NAACP Legal Defense, and the Educational Fund — wrote a letter to FBI Director Christopher Wray urging the bureau to take the white nationalist violence seriously. The civil rights leaders have also demanded for a meeting with the FBI director to discuss this threat to public safety. The signatories included Indian Americans Vanita Gupta, who is the President & CEO of The Leadership Conference on Civil and Human Rights, and Satjeet Kaur, Executive Director of The Sikh Coalition. 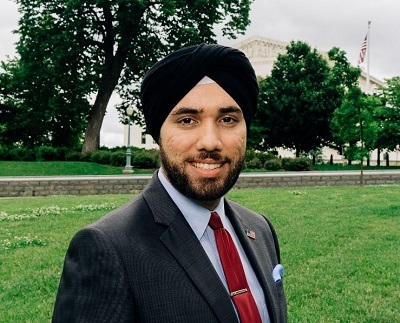 Sim J. Singh, Senior Manager of Policy and Advocacy at Sikh Coalition, told the American Bazaar that his organization and other partners are not happy with the Trump administration’s response to fighting white nationalism. The letter also states that last year, FBI reported that there has been a 17 percent increase in hate crimes since 2016. The numbers, according to the organizations, stress that an immediate action may be required to ensure no such attack ever takes place in the US. Last week’s mosque shootings in Christchurch have had a strong effect across the globe. Individuals and organizations are not just condemning the attack but are also devising strategies to ensure such hatred does not lead to any more violence. The discussions on the subject are particularly robust in the United States because this country has witnessed violent attacks on religious places in the past and also because the attacker, a white nationalist, has named President Trump as an inspiration. The letter by the civil rights organizations pointed out that attacks against places of worship in America have increased in recent years. More recently, in 2018, a synagogue in Pittsburgh was stormed by an individual killing 11 people. We, the undersigned national civil rights and faith-based leaders, write to express our deep concern regarding recent attacks against our houses of worship and communities. We request an urgent meeting with you to discuss the role of the Federal Bureau of Investigation (FBI) in addressing the threat to public safety and our communities by white nationalist violence. Attacks against houses of worship in the United States have been far too common in recent years. For example, in 2012, white supremacist Wade Michael Page murdered six and injured four, when he stormed a Sikh gurdwara in Oak Creek, Wisconsin. In 2015, Dylann Roof, who spewed deep racial hatred and espoused white nationalist ideals, entered the Emanuel AME Church in Charleston, South Carolina, killing nine individuals. In 2018, Robert D. Bowers burst into the Tree of Life Synagogue in Pittsburgh, Pennsylvania and shouted anti-Semitic slurs, killing 11 worshippers. This hate manifested itself again last week in New Zealand, when Brenton Harrison Tarrant live streamed his attacks against Masjid al-Noor and the Linwood Mosque in Christchurch where he murdered over 50 people and injured many more. Tarrant too, was a virulent white nationalist, and even cited Roof as an inspiration in his manifesto. Last year, the FBI reported a 17% increase in hate crimes overall since 2016, marking an increase for the third consecutive year in a row. Given the enormous threat of hate violence to our communities and our nation, we request that you meet with us along with our partners in the civil rights and faith communities to discuss the FBI’s role in protecting houses of worship, our communities, and all Americans. Please contact Muslim Advocates deputy director to discuss details for scheduling this meeting. We look forward to meeting with you to discuss our concerns further.